A long spit of land measuring 32 miles, located just parallel to Long Island, Fire Island has long since been a favorite getaway for New York residents. 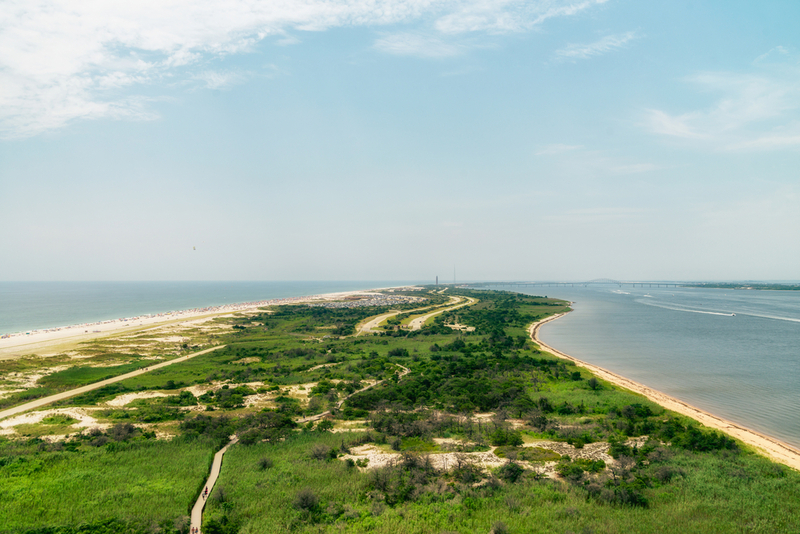 While there are many natural features to see here, one of the highlights of Fire Island is the Sunken Forest, which is a rare maritime holly forest that boasts a collection of plants that cannot be seen anywhere else in the world. The Sunken Forest was first protected from development in the 1950’s, by a private group of concerned citizens, who recognized the need to preserve this rare habitat. The area was officially dedicated as the Sunken Forest Preserve in 1960, after a few years of heavy fundraising. When taking a walk through the forest, there are a number of interesting trees that you will see, such as the Shadblow and the Serviceberry, and there are also plenty of black cherry trees to be found around the forest edges. These fruits ripen in August and September, and are a favorite amongst many bird species, so while you are able to sample these sour but sweet cherries, be sure to leave enough behind for the wildlife. You will also be able to see Black Oak, Red Cedar and Pitch Pines, which are the only native pines on Fire Island. 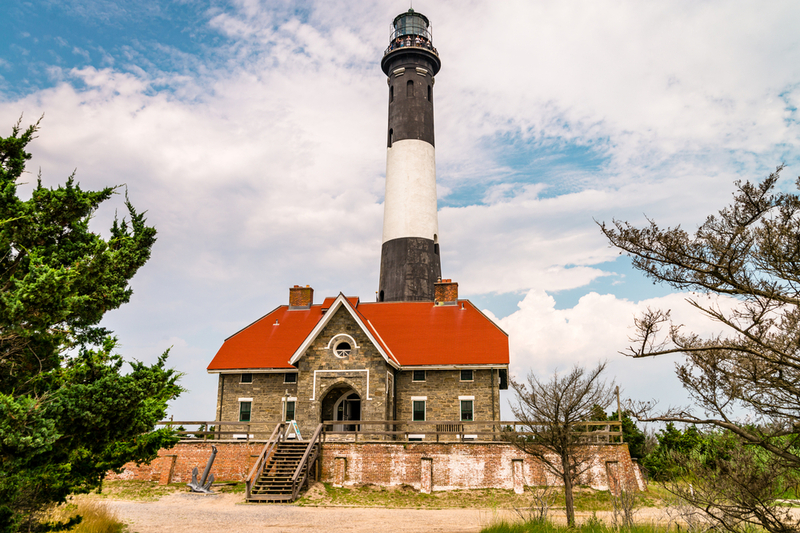 There are several visitor centers to be found around Fire Island, with the one at the Fire Island Lighthouse being the main one, as it also has a museum and is open throughout the year. The other visitor centers on the island are open seasonally only and can be found at Sailors Haven, Watch Hill, and the William Floyd Estate. All of these will be able to provide you with up-to-date information on wildlife sightings and special programs, as well as books and educational items available for you to purchase. For those who only have a short amount of time to spare but want to ensure that they are still able to see all of Fire Island’s highlights, then the Fire Island Trek may be something that you want to consider signing up for. This guided tour, which is led by rangers, includes a tour of the Old Mastic House at the William Floyd Estate, as well as an exploration of the Sunken Forest, and a trip along the Salt Marsh Nature Trail on the barrier beach. In addition to visiting the Sunken Forest, there are a number of other outdoor activities that you can take advantage of on Fire Island. 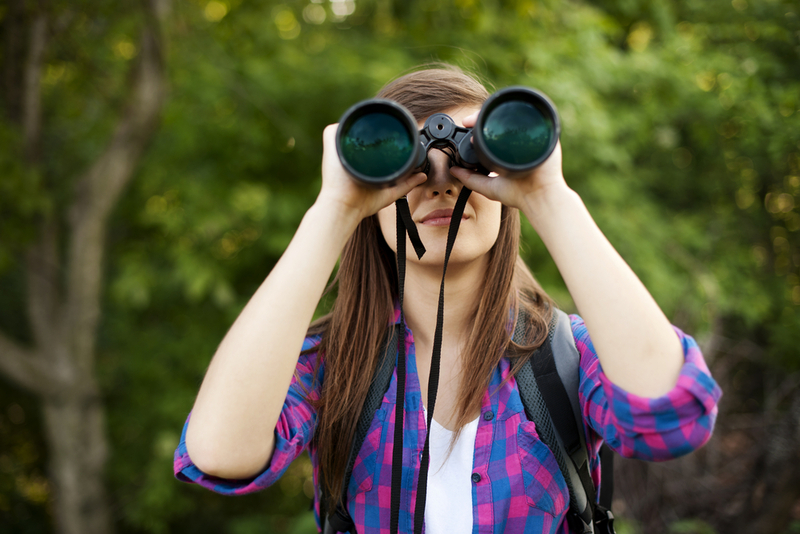 From bird watching and hunting to swimming, photography and wilderness camping, the options seem almost endless and will make you wish that you had so much more time to spend here. One of only ten national seashores in the entire country, Fire Island is definitely worth a visit if you are in, or near, the area. With everything from incredible natural beauty to a wide range of wildlife, this is a spot that every nature lover will no doubt appreciate.